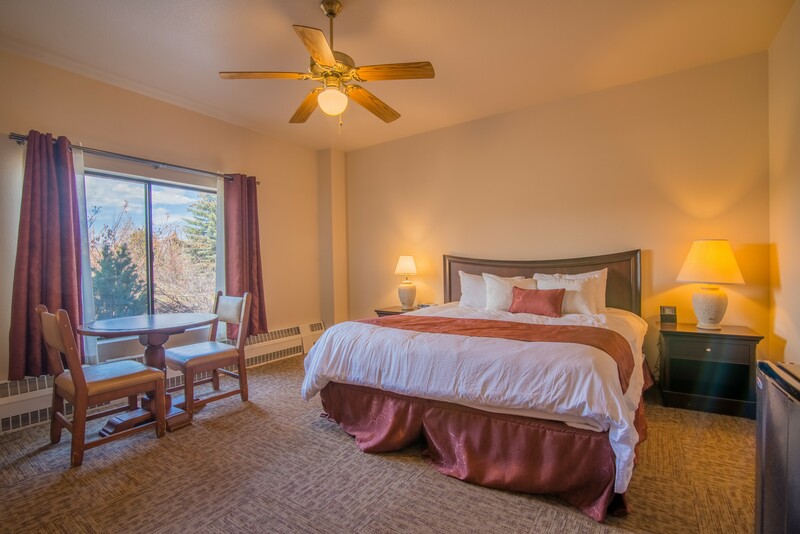 Our hotel has a total of twenty rooms that can accommodate 2-4 people. 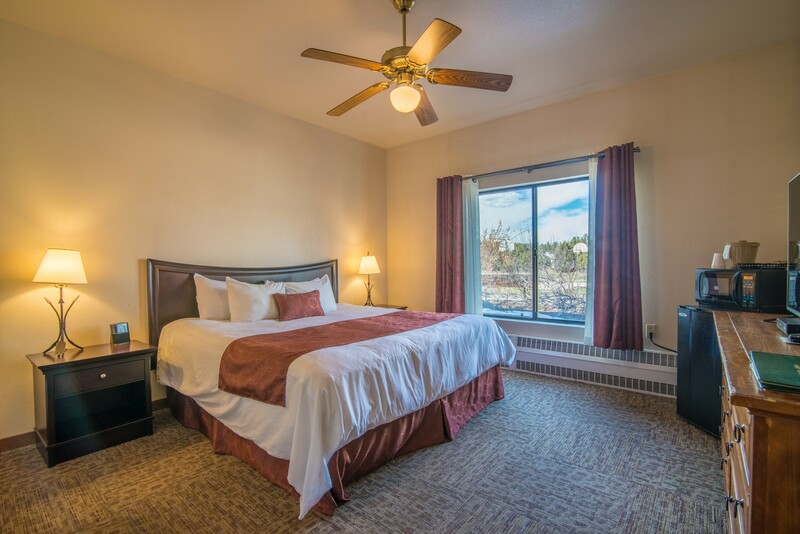 We have four types of rooms: the Hotel Double, the Hotel King, the Hotel Kitchenette, and the ADA Accessible. The Hotel Double has two queen beds and can accommodate up to four people. 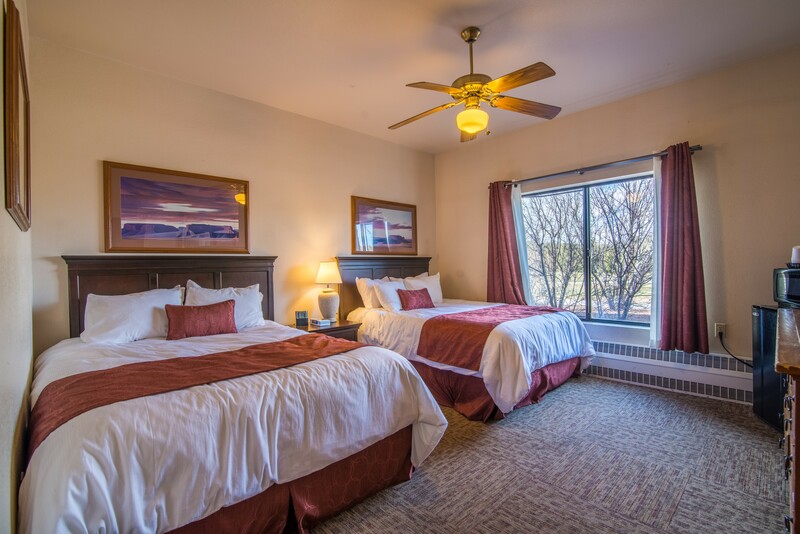 The Hotel King, the Kitchenette, and the ADA Accessible all have one king bed and can accommodate up to two people. All of our rooms are equipped with a miniature fridge and microwave, coffee pot, iron & board, hairdryer, and TV with a DVD player. Coffee is provided in all of the rooms and we provide select toiletries upon request. If you’re looking for a little more, our kitchenette option has a large microwave, toaster, dishes and utensils for up to two, kitchen sink, and a table for two. decides, after check in, to leave prior to the scheduled departure date.